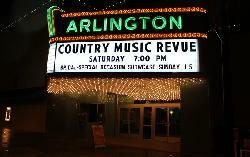 Arlington, Texas is a beautiful destination that is located about 12 miles east of Fort Worth. 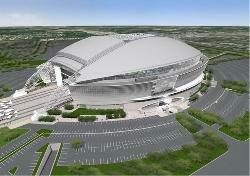 One of the top sports destinations in the country is the new Cowboys Stadium, which is home of the NFL's Cowboys. Seating 80,000 and up to 110,000 including standing room, it is the largest domed stadium in the world. In 2011, Super Bowl XLV was held in Cowboys Stadium when the Green Bay Packers defeated the Pittsburgh Steelers 31-25. Arlington is also the place where you can see all home games for the MLB's Texas Rangers at Rangers Ballpark, which brought a World Series in both 2010 and 2011. The Rangers lost in both attempts to the San Francisco Giants and the St. Louis Cardinals. Other venues include Cowboys Dance Hall and Six Flags Music Mill, where dozens of performances can be seen like Easton Corbin, Kyle Park, Chris Young, Rick Springfield and Corey Smith.